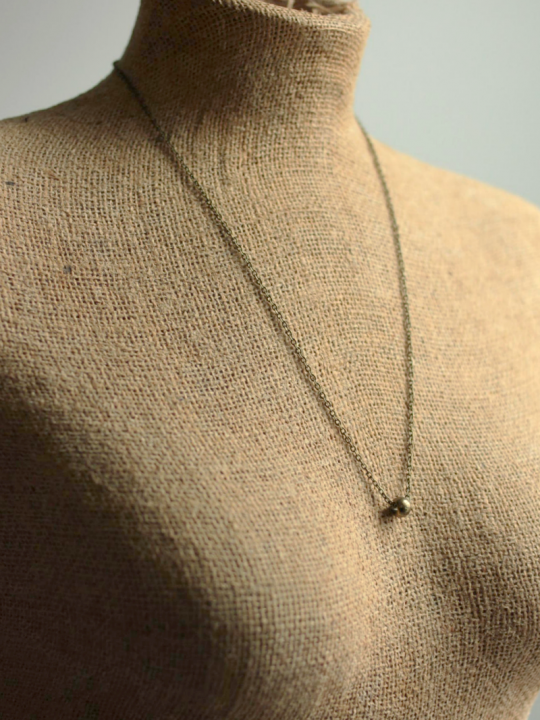 Pyrite necklace on a long steel chain. 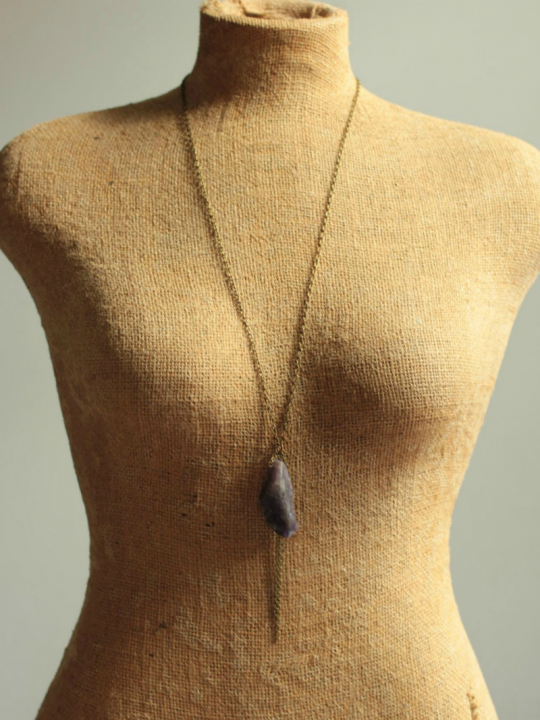 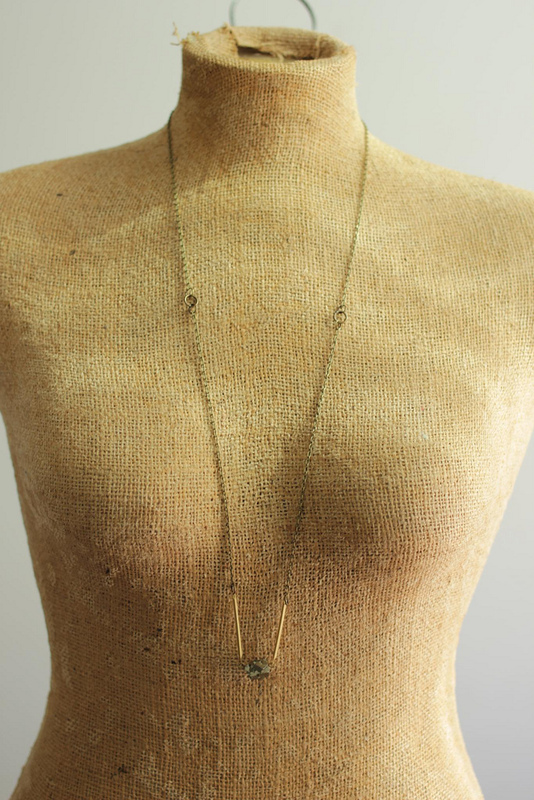 Features a rough cut natural form pyrite pendant, centered between brass bars. 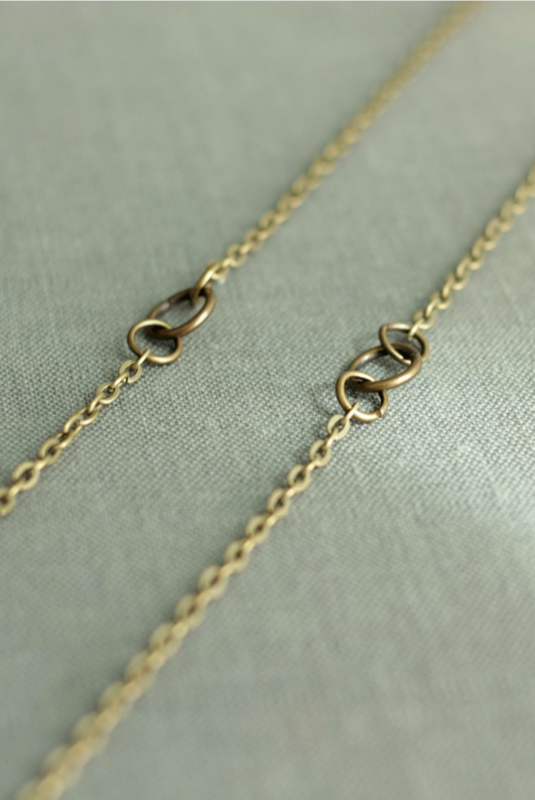 Chain is made of matte steel and is super durable. 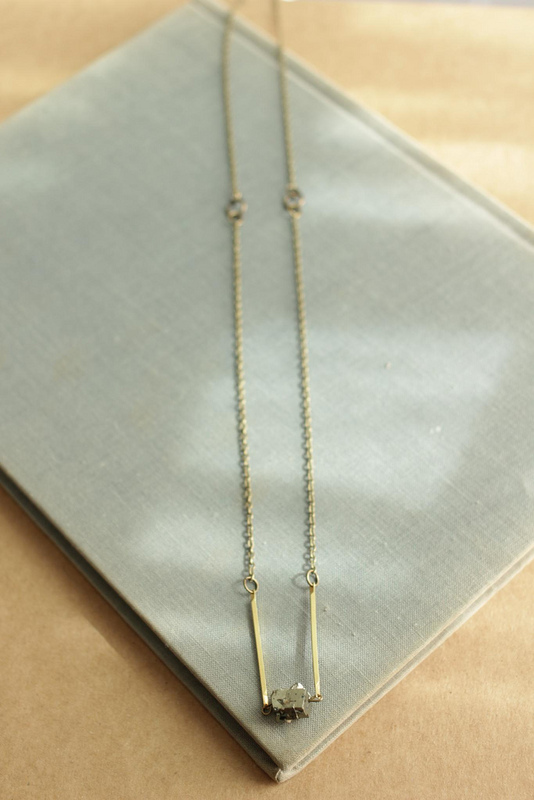 Necklace hangs long and is perfect for layering. 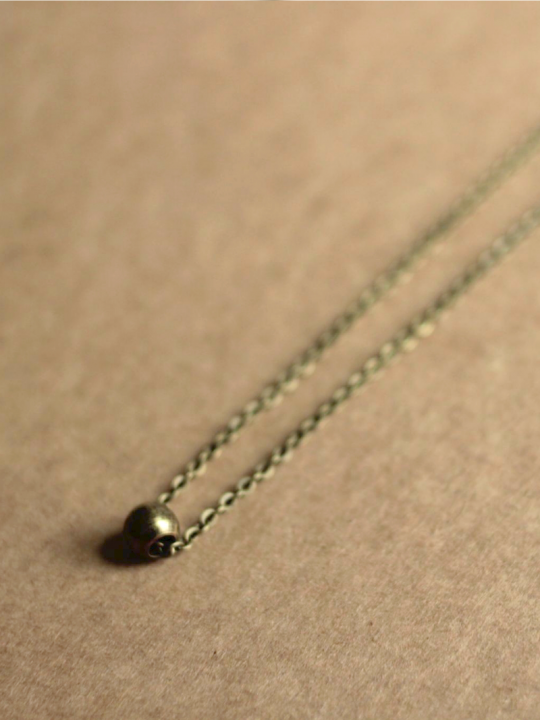 Measures 34in (86.36cm). 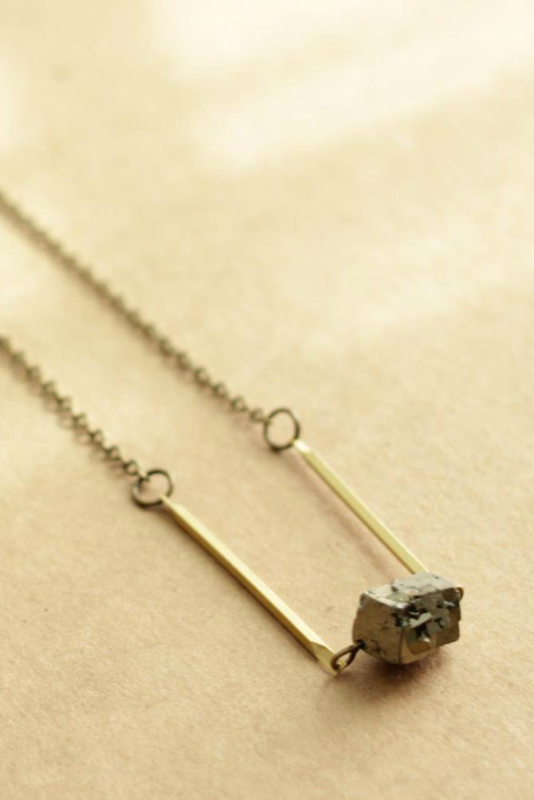 Pyrite chunk measures .5in (1.27cm). 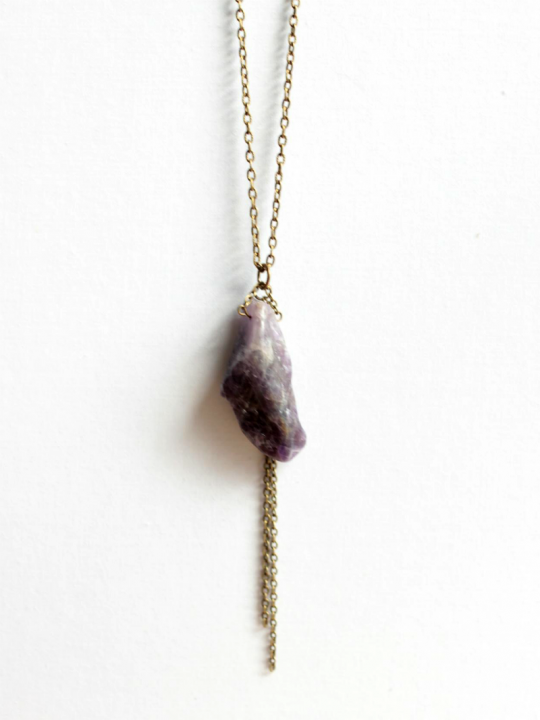 Stones may vary; you’ll receive a different one than pictured.